Ground source heat pumps will, as the name suggests, provide heating for your property. There are a range of models available – some will only provide space heating (e.g. radiators) whilst others will provide both space heating and hot water (e.g. from a tap). I can help advise you on which system will be best for you, depending on your circumstances. 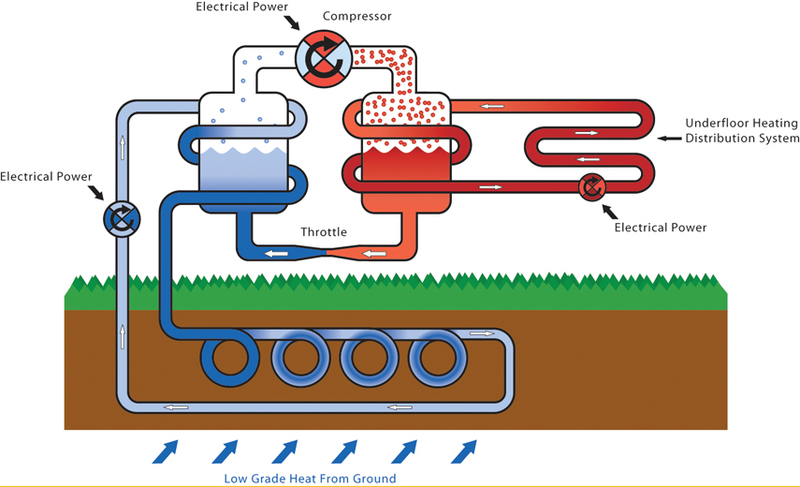 Ground source heat pumps utilise slinkies, pipes or boreholes to ‘collect’ latent heat from the ground. By utilising a compressor, this heat can be increased to temperatures that are required for use within a property. To further explain how the technology works, watch this video from Kensa Heat Pumps, a British heat pump manufacturer with whom we are partnered.